 outings in columbus Archives | What Should We Do Today? When your baby becomes a toddler life becomes busy! Toddlers are full of energy and lots of fun! It’s also a lot of work keeping them entertained! 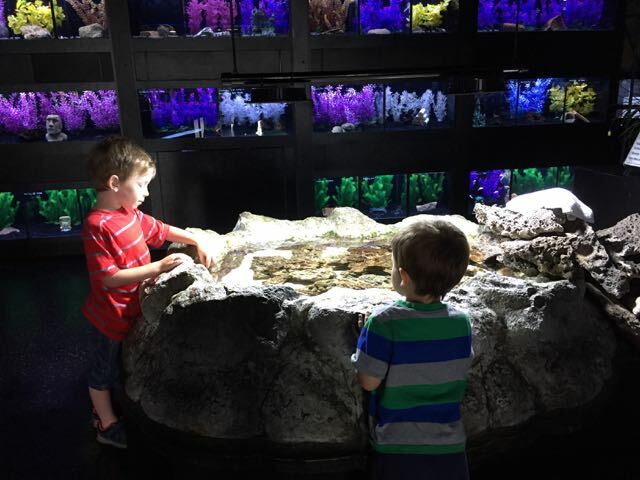 Luckily for us, there are a ton of fun and affordable things to do with a toddler in Columbus! Play Cafes are all the rage with the 5 and under crowd! Seriously, though, they’re a safe place to play and moms and dads can grab a coffee or a snack while their kids play. Firefly Play Cafe has been a favorite of ours for the wide variety of things to do for kids and a good seating area for adults. Friends rave about Tree of Life Play Cafe and they have during toddler time with Get Air right next door! You may also want to check out HOOT Studio for the simple fact that for a slight upcharge, they will watch your kid for you while you get work done or have a coffee date in the adjoining cafe! Awesome! If you’re looking for the best deal in town, I highly recommend a COSI membership! Yes, even for a toddler! The little kidspace inside COSI contains water play, an art studio, and a huge area for kids to engage in imaginative play: including a large play house, vegetable stand, doctor’s office, fire truck and so much more! Looking for a free option? 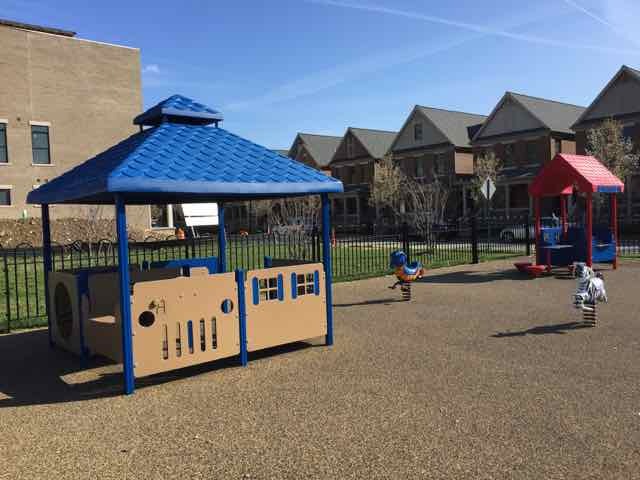 Don’t worry, there are tons of places for your toddlers to play inside for free in Columbus! 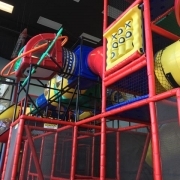 From mall play areas to rec centers, check out Over 20 Free Indoor Play Areas in Columbus for more ideas! Some of the indoor play areas for older kids (think Magic Mountain, Fun in the Jungle, etc.) also have smaller, separate areas for toddlers to play! 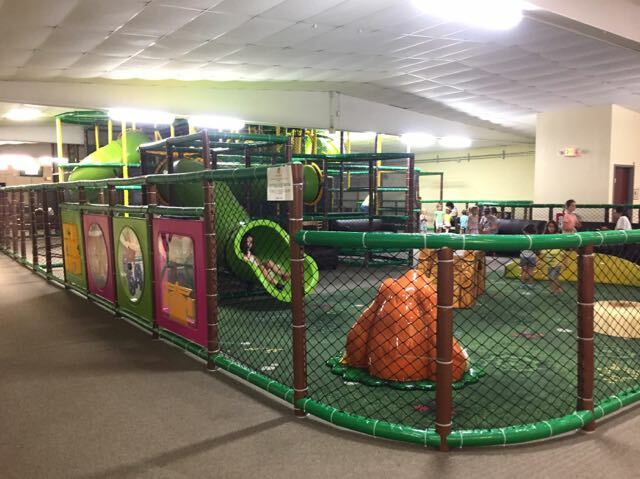 You can see more ideas in 6 Free or Cheap Indoor Places for Kids to Run Wild in Columbus. Story times are great things to do with toddlers in Columbus! Libraries were the first place I started taking my son when he was just a baby. We were big fans of the baby lap time at Grandview Library and the play area there is perfect for toddlers! Baby lap times happen at almost of all of the libraries in town and can be a great way to get out of the house with a little one! Beyond libraries, many local bookstores have regular story times, and story times are even popping up at Columbus restaurants like Duck Donuts and Chick-fil-A on Sawmill! The Columbus and Franklin County Metro Parks is another great resource for story times for toddlers! We love the story time at the Grange Insurance Audubon Center (at the Scioto Audubon Metro Park) because afterwards you can play in their free indoor play area or go outside to play in the sandbox! Toddlers love music! There are several ways to introduce your toddler to music in Columbus! 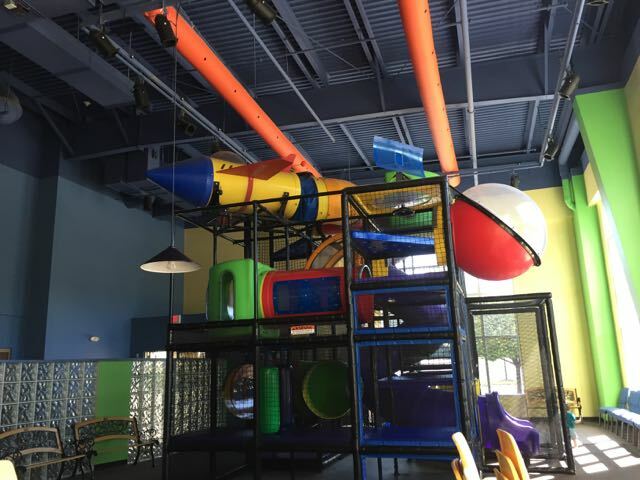 We Joy Sing does drop in classes at Coffee Connections of Hilliard, taking advantage of their great indoor play area for kids! 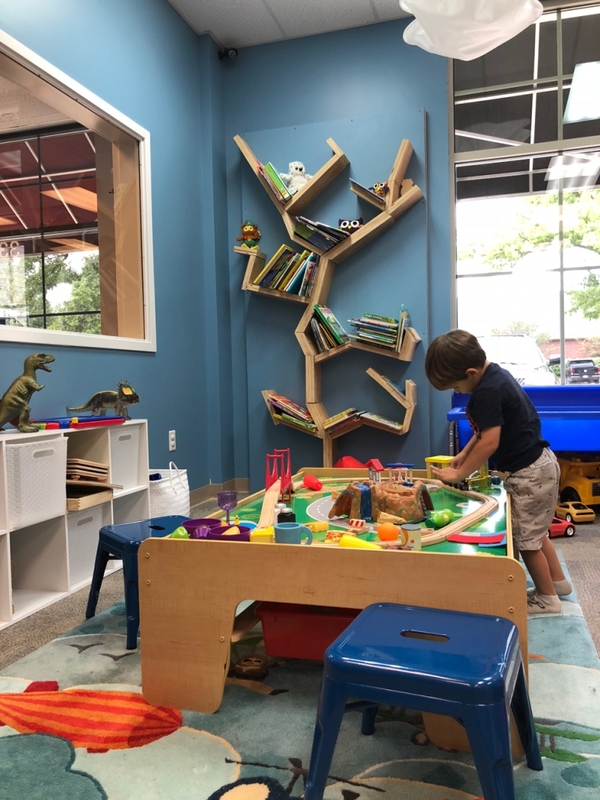 Coffee Connections is definitely one of the most kid-friendly coffee shops in Columbus! Miss Marlene Dance and Sing is a special song and dance time for toddlers that takes place at Abbey Theatre in Dublin! There’s usually a special visitor! When we were there, we were joined by Clifford the Big Red Dog! 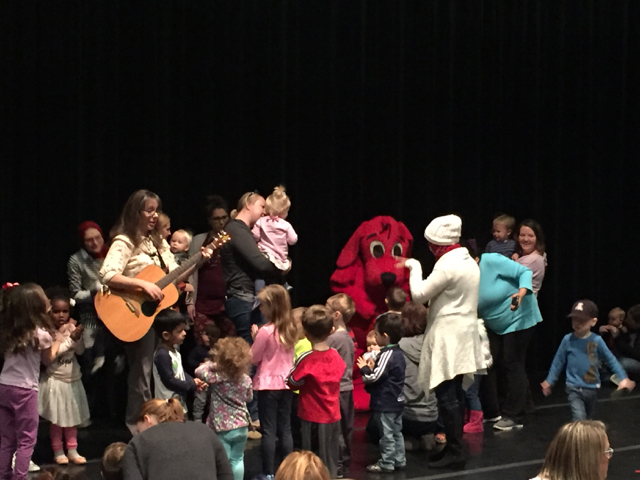 The PBJ & Jazz concerts are kid-friendly ways to introduce your kids to music and toddlers are free to get up and dance around! During the winter, the concerts take place in the Lincoln Theater Complex and include a PB&J sandwich, juice and a cookie for $5/person. During the summer, the concerts are free and they happen in Topiary Park outside the Main Library and include a craft and story time! What do toddlers really want? They want to run around in circles forever, really. Sometimes that’s all a kid needs! And if it turns into an extra long nap afterwards, than that’s a bonus! A great way for toddlers in Columbus to get out all of that excess energy is at open gyms! What is an open gym? It’s exactly as it sounds. The gym is open and toddlers can run around and play until they fall over! Check out the Westerville Rec Center for their Pee Wee Play Gym, Dublin Community Recreation Center for their Preschool Open Gym and Prairie Township Rec Center and your local Columbus Recreation Center for specific open gym times! We’ve attended a few of these and they usually include balls, ride on toys and other free play activities for toddlers! One place we’ve gone again and again is Aquarium Adventure! We loved the Sawmill location and recently visited the new location in Hilliard and it’s just as great! There is always something new to see and there is also a small pond area where kids can reach in and touch! The Columbus Zoo and Aquarium offers a really fun activity for toddlers in Columbus called Little Explorers Base Camp. This takes place on Tuesdays and Thursdays during the school year and features sensory activities set up at different stations. 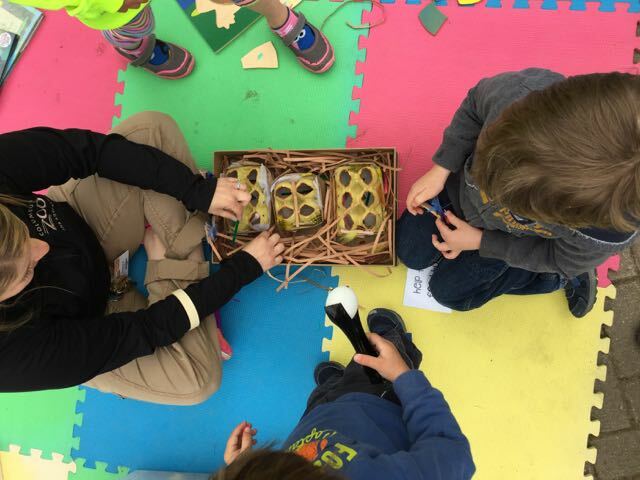 Kids can learn all about animals through hands on activities! My kids have LOVED this, even up to age 7! 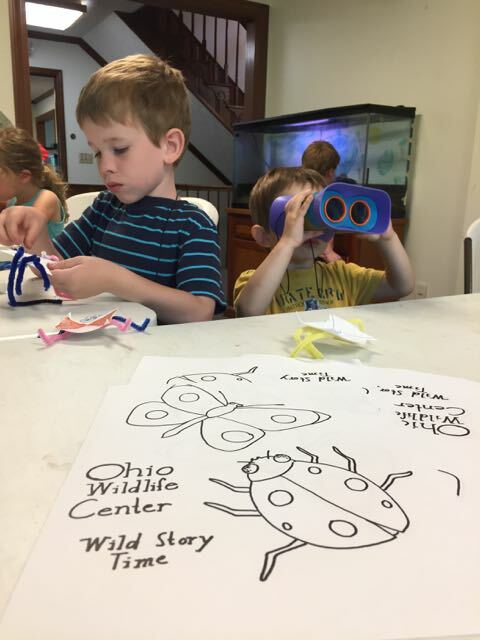 Ohio Wildlife Center and Stratford Ecological Center are two great destinations for toddlers! Both locations offer regular story times and the option to explore the grounds, visiting the animals on site! Don’t discount a trip to the local pet store for a fun outing as well! My kids still love visiting the nearest pet store to view fish, gerbils, snakes, birds and to pet the cats and see dogs getting groomed! Last but certainly not least, how could we forget parks and playgrounds? From the time they can walk, toddlers need large areas to run and explore and nothing beats a great park for getting out all of that excess energy! However, as a parent, you soon find that not all parks are equal. Just because a toddler can walk does not mean they navigate most play structures! Our favorite park when my kids were toddlers was one in our former neighborhood. It definitely helped that we lived two blocks from Funk-ee Town in Harrison West Park, but it is an exceptionally great area for little kids! 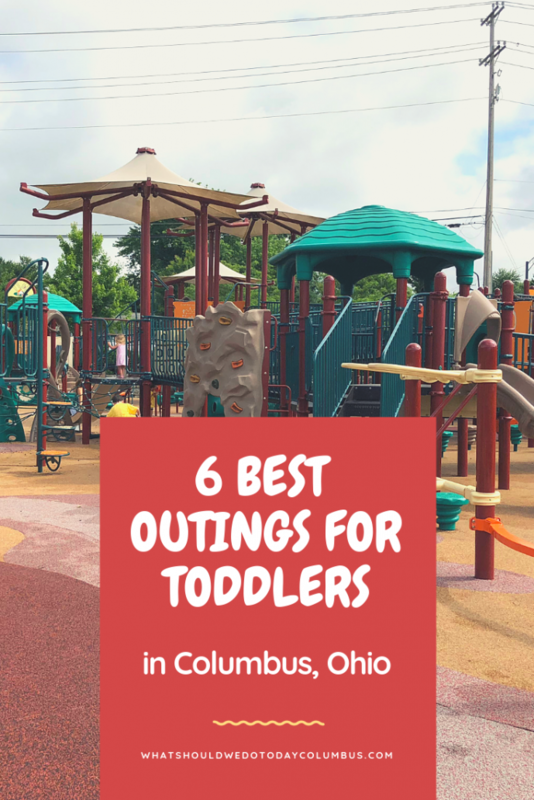 I put together this list of 6 Columbus Area Parks for Toddlers to share parks that have particularly toddler-friendly play areas! No more heart attacks for mama when you find your 1 year old suddenly standing over a 10 foot drop of or about to go down an incredibly high twisty slide! 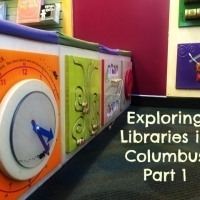 Need more ideas to keep your toddler or preschooler busy in Columbus? Check out one of theses links for more! 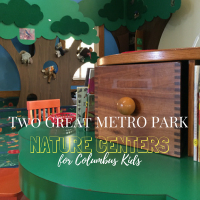 Metro Park Nature Centers are great places for toddlers! Here are two of our favorites! 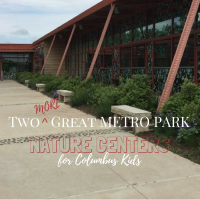 Metro Park Nature Centers are great places for toddlers! Here are two more of our favorites! 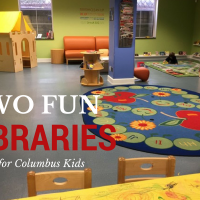 These libraries have great play areas for kids in Columbus, Ohio! 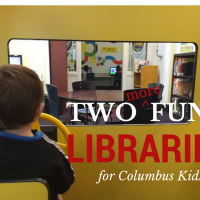 Here are two more libraries with great play areas for kids in Columbus, Ohio! 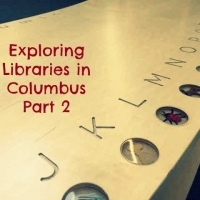 Great libraries for kids in the Columbus Metropolitan Library system! 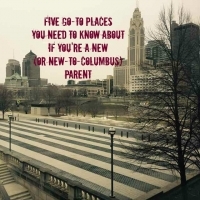 Are you a new parent or new to Columbus? Read this first!